5.Built-in chargeable superior lithium battery pack: 12V 3600MA, small size,low weight, which is also convenient to work outside . 6.It can charge to full in 3 hours with AC110V-220V, which will stop charging automatically when fully charged. After that,it can work about 3 hours outside. 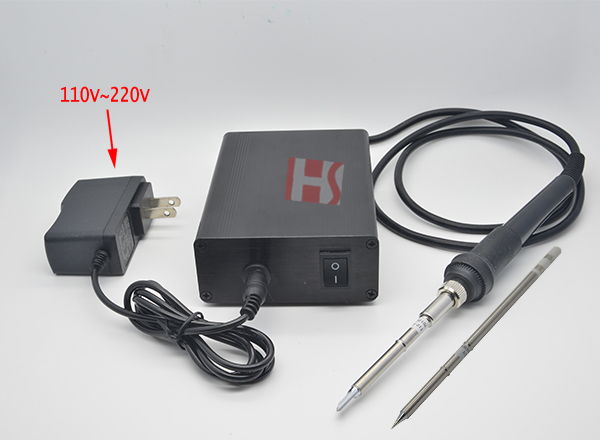 7.This product can heat up quickly to 450 degree, which can adjust temperature accurately. display in LED screen. 8.LED screen will precisely display all data, simply chinese or English meanu can be choosed. 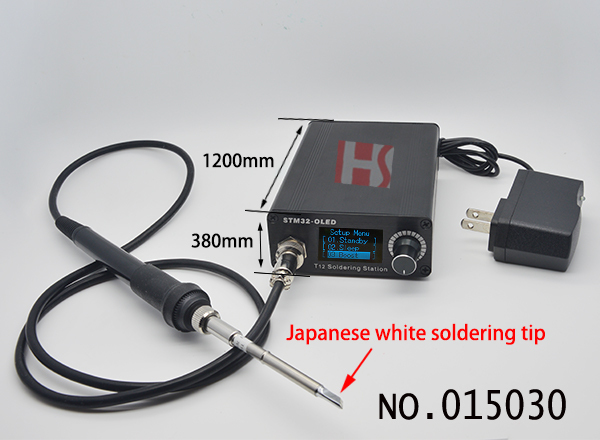 9.White soldering tips have 3 months warranty, host has 1 year warranty. 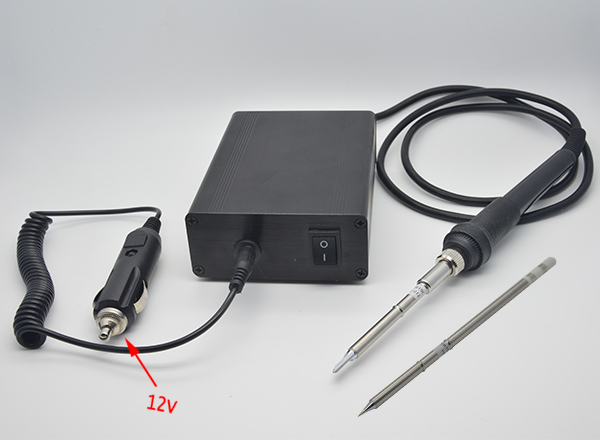 2.Automatic compensation range of Thermocouple cold junction is -9-99℃(need to be accurate). 4.It can save 5 groups of temperature. 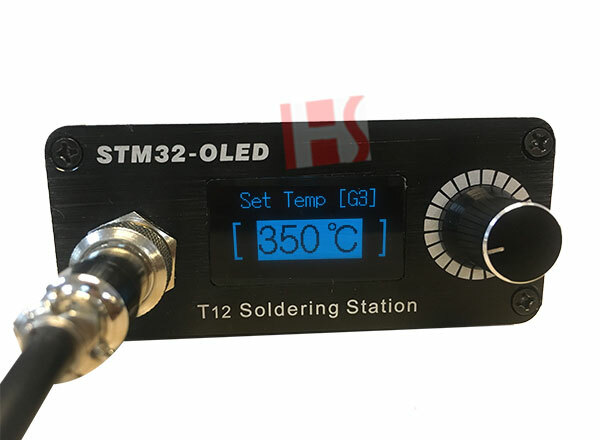 5.It can keep the temperature calibration parameters of every tip seperately, support all types tips of T12, and it has 6 customized heads, which also can shield uncommon heads. 1.Normally, the clockwise rotation is less than 3 grids in 1 second, and it enters standby (default 200 degrees (150-300 degrees configurable) state). If the set temperature is lower than 200 degrees, it will go to sleep directly. 1.1In the standby, continuously rotate clockwise 3 grids (soft shutdown) in 1 second, and in the sleep (soft shutdown) state, press the encoder to enter the working state. 1.2In the standby, press the encoder or rotate counterclockwise to resume working. 2.Normally, the counterclockwise rotation is 3 grids in 1 second, and the power is increased. The current temperature is +50 degrees (10-200 degrees configurable). After 5 minutes (1 to 60 minutes can be set), it can automatically reply. Also can operate the encoder to recover in advance. 3.Normally,short press to enter the temperature setting state. 3.1In the temperature setting, the temperature of the current setting group can be adjusted by rotating the encoder. The default step is 5 degrees (steps 1-50 can be set). 3.3In the temperature setting, short press the encoder to save and exit to normal status. 4.Normally,Pressing the encoder and rotating it counterclockwise can enter the head change interface. 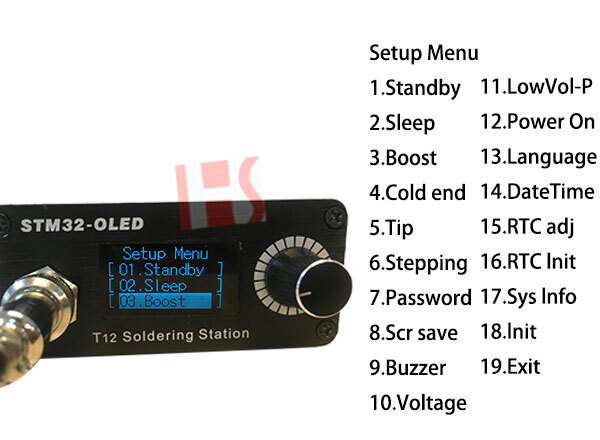 Under this interface, the output is turned off, and the head change operation can be performed with power. You can switch the header type. And call the correction curve of the relevant header. 5.Normally, press the encoder and rotate clockwise to enter the temperature comparison interface, you can compare the parameters of the current tip, you can also restore the default correction parameters. Before entering the correction wizard, you need to restore the default correction parameters. In normal pattern,stand still for 3 minutes goes into a sleep mode, which can help you use it longer. And you can enter into menu to set time. In normal pattern,long press 3 seconds to enter into setting.